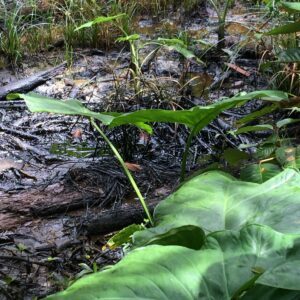 Yesterday the Supreme Court of Canada denied an application by the Lago Agrio plaintiffs for leave to appeal from the decision of the Ontario Court of Appeal in May 2018, which held that the Lago Agrio plaintiffs cannot reach the assets of Chevron’s indirect subsidiary in Canada to satisfy the judgment against Chevron they obtained in Ecuador. It’s been a while, so to make sure you are up to speed on the overall dispute, I am going to repeat some of what I wrote in an earlier backgrounder, with some modifications. The new Canadian developments are toward the end of the post, so feel free to skip ahead if this is all old hat to you. What is the overall dispute about? 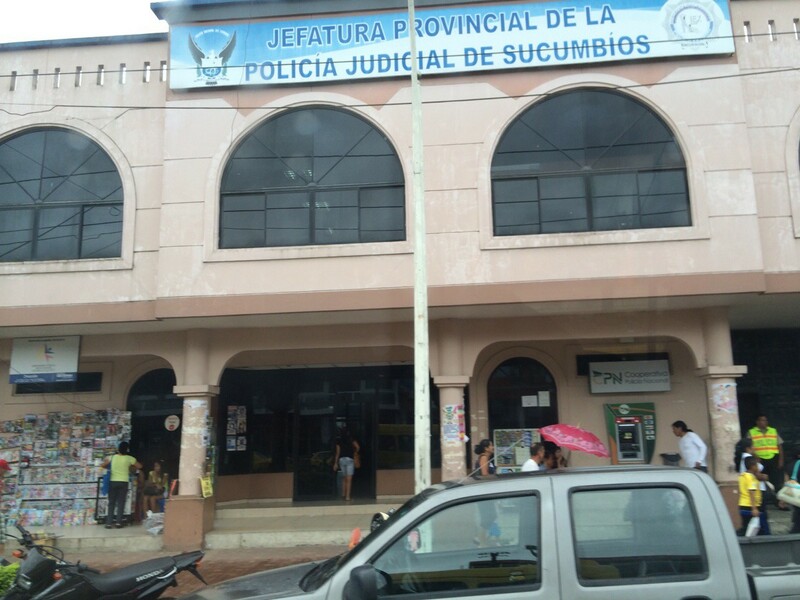 What happened in the Ecuadoran courts? What happened in New York? Beginning in the 1960s, a subsidiary of Texaco, the American oil company, explored and drilled for oil in the Oriente region of Ecuador, in the northeast of the country. While parts of Ecuador are mountainous, the Oriente is in the lowlands, part of the Amazon rainforest and, especially at the time, undeveloped and still home to many of its indigenous inhabitants, including the Huaorani and the Cofán. Texaco was part of a joint venture with PetroEcuador, the Ecuadoran state-owned oil company. The joint venture lasted to 1992. There’s no question but that the Texaco/PetroEcuador joint venture led to oil pollution in the Oriente. The scope of the pollution and its effects on the environment and on the inhabitants of the region are sharply disputed, as is the attribution of legal fault, but the fact that pollution and contamination occurred is not. In 1993, Maria Aguinda and other residents of the Oriente brought a putative class action against Texaco in the Southern District of New York. Aguinda and the others pleaded a claim for relief that would be familiar to any American lawyer: Texaco, they claimed, had been negligent, had caused a public and private nuisance, had trespassed on their land by discharging oil onto it, and had violated customary international law, among other things. The Aguinda case resulted in dismissal under the doctrine of forum non conveniens, which the Second Circuit affirmed in 2002. Forum non conveniens, for the unintiated, is a doctrine, of somewhat uncertain provenance, under which a court will dismiss an action even though it has jurisdiction and even though it is a proper venue if (put very loosely) trial in the chosen forum would be seriously inconvenient and there is another, superior forum available. Ecuador’s Government is a constitutional democracy with executive, legislative, and judicial branches. Its judicial branch, headed by the Supreme Court, includes special purpose courts and lower courts, which use a Civil Code based on Roman law. Thus, Ecuadorian legal norms are similar to those in many European nations. Ecuador’s Constitution guarantees due process and equal protection, and its courts provide important procedural and substantive rights, as former Supreme Court Justices of Ecuador, jurists, and practicing lawyers informed the District Court in affidavits. In response to the District Court’s January 31, 2000 Memorandum Order, the parties submitted evidence concerning the independence and impartiality of Ecuador’s judiciary following the short-lived coup in January 2000. That evidence further proves that Ecuador provides an adequate legal forum and that its judicial system is even stronger today than previously. Plaintiffs’ next argument is that Ecuador’s courts are corrupt, but “the argument that the alternative forum is too corrupt to be adequate ‘does not enjoy a particularly impressive track record.’” The most persuasive evidence that Ecuador can and does dispense independent and impartial justice in these cases is the record of corruption-free litigation against Texaco’s subsidiary and other companies. This record provides practical proof that litigants can and do obtain fair treatment and relief in Ecuador’s courts, including in cases relating to Consortium activities. The circumstances in Ecuador are not remotely like those that prevailed in Liberia when this Court decided Bridgeway Corp., which involved a “dysfunctional foreign legal system.” The opposite is true in Ecuador. These cases also have received substantial attention from the Ecuadorian government and media, environmental groups, human rights groups, indigenous organizations and other non-governmental organizations. This attention will continue regardless of forum. The public scrutiny these cases will receive in Ecuador and/or Peru will further assure a fair adjudication of plaintiffs’ claims. I believe Texaco thought that if the litigation were dismissed in the United States the case would be over. At the time it was not clear that anyone had the will or the capacity to litigate a major environmental case in Ecuador on a contingent fee basis, or that third-party litigation funding might be available to support such an effort. While the Aguinda case was pending, there were some important developments outside of court. First, in 1993, the Ecuadoran government made a deal with Texaco under which Texaco agreed to remediate certain sites in return for a release from the Ecuadoran government. Whether the release also extended to claims by individual Ecuadorans was later a point of contention. In any event, Texaco performed work under the remediation plan, and the Ecuadoran government effectively signed off on the work. The lawyers for the Ecuadorans, including Steven Donziger, one of the main protagonists in the story, apparently were against the remediation plan, though their motives were mixed. It’s clear that some of the sites on the list were not properly remediated, and points that the parties have disputed include: did Texaco (and later Chevron) conceal pollution to create the appearance of adequate remediation? Did Texaco/Chevron stop remediating due to political pressure from the plaintiffs? I address some of these points in my post on my visit to the Aguarico 4 site, one of the sites that was supposed to be remediated but that still (as of 2014 at least) was grossly polluted. Second, in 2000, Ecuador suffered a coup d’etat that resulted in the military bringing Lucio Gutiérrez Borbúa to power. Gutiérrez adopted a program of neoliberal reforms at the insistence of Ecuador’s international creditors that resulted in the collapse of his government and, in 2006, the election of Rafael Correa Delgado, a left-wing, US-educated economist. One of Correa’s major initiatives was a reform of the judiciary. Whether this was a true reform of an ineffective or corrupt judiciary, or a political takeover of the judiciary, is a point of contention. I’m no expert in Ecuadoran political history, but my big-picture view is that when Texaco pushed to have the case in New York dismissed, it thought the Ecuadoran government was a friendly, right-leaning government (the government, after all, had signed off on the remediation completion), but after 2006, it was facing an unfriendly, left-leaning government. 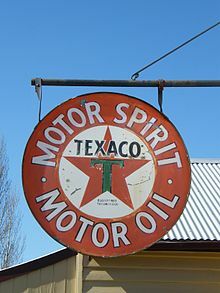 Third, in 2001, Chevron acquired Texaco. The merger was a so-called “reverse triangular merger,” which if you have never taken a corporations law class in law school is probably gobbledygook to you. I’m not going to explain it here. 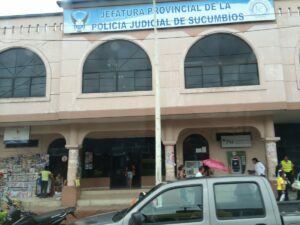 Defying the odds, the Ecuadoran plaintiffs went ahead with the litigation in Ecuador, specifically in a court in the provincial town of Lago Agrio. While they were represented by Ecuadoran counsel, they were also represented by Steven Donziger. The Ecuadoran case was sprawling, went on for years, and ended in a judgment of $19 billion, later reduced by half. The judgment was (purportedly) written by Judge Nicolas Zambrano Lozada. For our purposes there were two important things to note about the Ecuadoran proceedings. First, the initial plan was to determine the truth of the claims about pollution through a judicial inspection process. Each side would conduct a “pre-inspection” using its experts, and then the parties, in the judge’s presence, would conduct the judicial inspection. The judicial inspections and pre-inspections are key to the case. On the one hand, Donziger and his team disliked the judicial inspection process because it seemed not to be producing the results they wanted. On the other hand, Donziger and the Republic of Ecuador itself asserted that Chevron was manipulating the pre-inspection process to help ensure favorable results by, for example, looking for “clean” areas in the pre-inspections and then offering those areas for inspection during the judicial inspections. In any event, Donziger eventually persuaded the court to abandon the judicial inspection process and instead to appoint a single global expert who would be independent of the parties and who would report his results to the court. Here we come to what I consider the main point that Chevron was able to prove in the New York proceedings: the global expert, Richard Cabrera Vega, was in fact not independent at all, despite the protestations of Donzgier’s team. Indeed, the plaintiffs’ team wrote Cabrera’s report. (Donziger’s claim is that this was permissible under Ecuadoran law). The report’s true authors were from Stratus Consulting, the plaintiffs’ US environmental experts. They later disowned the report under heavy-duty litigation pressure from Chevron. (Chevron also proved a less significant instance of misleading the court: one of the plaintiffs’ experts, Charles Calmbacher, testified that the report the plaintiffs had submitted over his signature was not his report). Randy Mastro questioning Judge Zambrano. Credit. Elizabeth Williams. The second big point: Chevron has claimed that not only was the Cabrera report a fraud, but that Judge Zambrano’s judgment itself was a fraud, ghostwritten by the plaintiffs with the help of another judge, Alberto Guerra Bastidas, in return for a bribe. 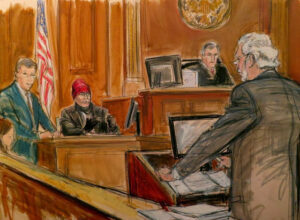 Now, Judge Zambrano hardly cut am impressive figure when he testified in New York. But Judge Guerra, who was Chevron’s star witness in the New York trial, lacked credibility in my eyes and the eyes of some other observers. Why believe a witness who admits to taking bribes and whom Chevron, in an ethically dubious move, has paid a lot of money and relocated in the United States? Moreover, Guerra’s story is that when he was soliciting bribes, his first choice was to ask Chevron for a bribe, which is difficult to square with Chevron’s basic story about a corrupt Ecuadoran judiciary politically in the bag for President Correa and out to get Chevron no matter what. Chevron’s attempts to corroborate the testimony were unconvincing to me; there is some evidence that the plaintiffs themselves were unaware of what the judgment would say before it was handed down; and newly disclosed forensic work, which Chevron disputes in part, casts more doubt on the ghostwriting claim. So although Judge Kaplan, the judge in the New York case, credited Judge Guerra’s testimony, I highly doubt I would have credited it had I been there to hear it. Chevron appealed Judge Zambrano’s judgment to an intermediate appellate court, which affirmed the judgment. Chevron then appealed to the Ecuadoran Supreme Court, which again affirmed, though it reduced the damages by half (Judge Zambrano had originally awarded approximately $9 billion in compensatory damages and imposed what amounted to a $9 billion punitive damages award on account of Chevron’s failure to apologize. The appellate court held that this was improper). One point to note is that Ecuador follows the civil law, not the common law. Donziger’s team has argued that under Ecuadoran law the intermediate appellate court, following the civil law tradition, reviewed the evidence de novo, rather than simply taking the facts that Judge Zambrano had found and reviewing them against the record. This point will become important later, as we’ll see. So as a result of the proceedings in Ecuador, the plaintiffs have a multi-billion dollar judgment against Chevron. But because Chevron has few if any assets in Ecuador, the Ecuadoran judgment, on its own, doesn’t do them much good. 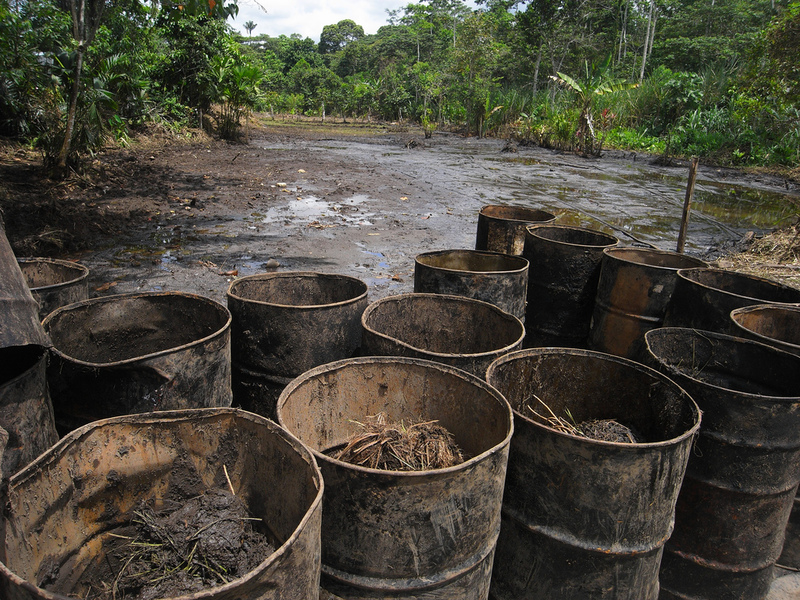 They must seek recognition and enforcement of the judgment in states where Chevron does have assets. You might think the obvious choice for the plaintiffs would have been to seek recognition in the United States, where Chevron is based, and more specifically to seek recognition in a state like Delaware, where it is incorporated, or California, where it has its headquarters. But although the plaintiffs in my view did inadvertently seek recognition of the Ecuadoran judgment in the United States by arguing that the US court had to give preclusive effect to Judge Zambrano’s findings, that was a mistake on their part and they have made it pretty clear that they won’t ever seek recognition and enforcement of the judgment here. So the New York litigation did not arise out of the plaintiffs’ efforts to enforce the judgment, but rather out of Chevron’s attempt to avoid the consequences of Texaco’s calamitous decision to have the action tired in Ecuador rather than in New York in the first place. Chevron was aided by its masterful use of the US judicial assistance statute, 28 U.S.C. § 1782, which allowed it to use the US courts to uncover lots of juicy evidence that it was able to use in its lawsuit against Donziger. For Donziger had made a decision just as foolish as Texaco’s decision about forum non conveniens: he had invited a film crew led by documentarian Joe Berlinger along for the ride in Ecuador. Chevron, turning back a First Amendment challenge, was able to compel Berlinger to turn over many hours of “outtakes” that had not made it into his acclaimed documentary about the case, Crude. Donziger has disputed the spin Chevron has put on the outtakes, but there’s no question that upon arrival they were highly damaging and that several US judges to whom the outtakes were presented were not amused. Donziger is shown, for example, meeting with Cabrera and the Stratus Consulting team and talking about planning Cabrera’s supposedly independent report. He is shown in a car on his way to confront the judge, giving some choice views about the Ecuadoran judiciary: “They’re all corrupt! It’s their birthright to be corrupt!” My favorite clip shows Donziger in the car, on the way to confront the judge. “We’re going to let him know what time it is,” Donziger says, like he was playing a scene in The Godfather. With this evidence in hand, Chevron sued Donziger and some of the plaintiffs under the US RICO statute, the law aimed at racketeers, and under the common law. They also sought a declaration that the Ecuadoran judgment was not entitled to recognition or enforcement. 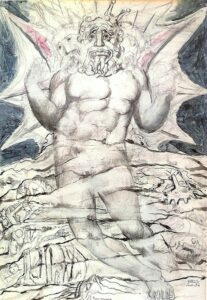 And they sought and received a preliminary injunction enjoining Donziger and the plaintiffs from seeking to enforce the judgment anywhere in the world. The injunction was too much for the Second Circuit, which vacated it in a brief order. The court’s full opinion in Naranjo, when it came, went further, holding that Chevron couldn’t even seek a declaration about the judgment’s unenforceability until the plaintiffs sought to enforce it in the United States. (I’ve questioned the wisdom of the decision and suggested it should be read in light of the evidence that the plaintiffs never intend to seek recognition in the US, since otherwise the decision seems hard to square with the law of declaratory judgments). The parties went on to litigate the RICO case. I won’t attempt to summarize all the twists and turns here. One point of interest, though, is the way that Chevron, no doubt bringing enormous litigation pressure to bear, was able to turn Donziger’s allies against him one by one: Stratus Consulting, the plaintiffs’ third-party funders, Burford Capital and James Russell DeLeon, and even their former lawyers, Patton Boggs. As the trial approached, Chevron, which had been seeking damages and had demanded a jury trial, realized that it had a pretty sympathetic judge in Judge Lewis Kaplan, and it dropped its claims for damages, which had the effect of removing from the case the issues that could have been tried to a jury and left Judge Kaplan with the unenviable job of preparing detailed findings of fact. The RICO trial resulted in extensive findings of fact in which Judge Kaplan decided—not to put too fine a point on it—that Donziger was a crook who had orchestrated a massive scheme to defraud Chevron by corruption and by taking advantage of the already-corrupt Ecuadoran court. Notwisthstanding Donziger’s repeated characterization of the Appeal Division’s affirmance of the Lago Agrio Judgment as a “substitute judgment,” the fact remains that the Division did not alter the Lago Agrio Judgment at all. The only change in the Judgment entered by Judge Zambrano was made by the Ecuadorian National Court, which vacated the punitive damages award; and the National Court made clear that is role as a cassation court was to concern itself only with the law, not with the facts. To me this is the weakest part of the decision. Sure, it’s hard to take the reasoning of the appellate court seriously, but I am not at all confident that that’s not simply a consequence of my ignorance of Ecuadoran law and legal culture. In any event, there seems to me to be something real to the argument that what matters is the court’s power to review the facts de novo, not whether it actually conducted what we would think of as a searching review. But the court’s decision on this point is clearly respectable, and I could well be wrong here—the issue is difficult. A second point I want to note briefly is the court’s dismissal of the point about judicial estoppel. I think the court’s decision here was right given the language of Chevron’s stipulation at the time of the forum non conveniens dismissal and the grounds the UFCMJRA gives for refusing recognition of a foreign judgment. But I encourage readers to read the exchange that Doug Cassel and I had on the issue of estoppel as part of the Letters Blogatory symposium on forum non conveniens and recognition of foreign judgments. Last, I want to focus for a moment on the claims against the handful of Lago Agrio plaintiffs against whom judgment had entered. The court correctly (in my view) held that it was proper to attribute the misdeeds of the lawyer to the clients. The LAPs were not sued under RICO, so the question was whether a claim for fraud really lay against them under New York law. The court held that it did, and that nothing in Naranjo suggested that the UFCMJRA was meant to occupy the field. This is puzzling to me. I thought the claim against the LAPs was an affirmative claim for fraud, and when I’ve written about this before, it was through the lens of asking whether New York recognized a cause of action for fraud in the absence of reliance (Judge Kaplan held that it did). But in yesterday’s Second Circuit decision, it seems that the question was not whether Chevron had an affirmative claim for fraud, but whether Chevron could establish a defense to recognition. I will take a closer look at this, but suffice it to say that after a couple of reads of the decision, I don’t really understand this aspect of the decision. Chevron’s wish is granted. After all these years, the Ecuadorian plaintiffs deserve to have the recognition and enforcement of the Ecuadorian judgment heard on the merits in an appropriate jurisdiction. At this juncture, Ontario is that jurisdiction. The Supreme Court of Canada affirmed. On the question of jurisdiction, it held that the only question was whether there was a sufficient connection between the judgment debtor and the state that rendered the judgment, not between the judgment debtor and the forum. I opined that “this is the right rule at least in cases where the judgment debtor has some property in the forum state, and maybe even if it doesn’t.” In any event, the Supreme Court’s decision noted that the question of veil-piercing was to be decided on remand. On remand, the Superior Court granted Chevron Canada’s motion for summary judgment, on the grounds that it was not the judgment debtor and there was no basis to pierce the corporate veil. It denied, mostly, the plaintiffs’ motion to strike Chevron Corp.’s defenses to recognition and enforcement. The plaintiffs again appealed, but they lost in the Ontario Court of Appeal, and now the Supreme Court has refused to hear the case. The case will now return to the Superior Court. I believe there are two main threshold questions. First, given that we now know the Ecuadoran judgment cannot be enforced in Canada, will the Canadian courts really allow a trial on recognition? This raises very starkly the issue of judgment arbitrage, since the point of the exercise is to take the Ecuadoran judgment that likely cannot be enforced and turn it into a Canadian judgment that (perhaps) can. This is the cutting edge, folks, and I do not know how the court will rule. Second, will the Canadian court give preclusive effect to Judge Kaplan’s findings of fact? In other words, is the American judgment entitled to recognition? If so, then there is no issue for trial. The plaintiffs are promising a trial—time will tell. 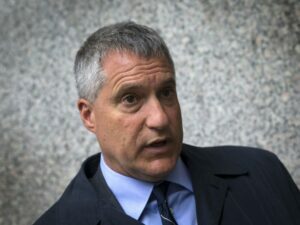 Steven Donziger, the US lawyer who represented the Ecuadoran plaintiffs, has not fared well in all this. In light of Judge Kaplan’s findings of fact, from which he did not appeal and against which he did not mount a post-judgment collateral attack under FRCP 60, the New York courts indefinitely suspended Donziger from the bar, a move which the District of Columbia, the other jurisdiction where he was admitted to practice, followed as a matter of course. Donziger now faces a disbarment hearing, but despite his arguments, the Appellate Division of the New York Supreme Court has held that Judge Kaplan’s findings of fact are entitled to preclusive effect in the bar disciplinary proceeding. The Court of Appeal is deciding whether to allow a further appeal of the preclusion issue, but in my view the Appellate Division’s decision was clearly right, which does not bode well for Donziger. Donziger is also facing a charge of contempt of court in Judge Kaplan’s court. The court had enjoined him from seeking to profit from the Lago Agrio judgment. Nevertheless, it was clear that Donziger was trying to sell interests in the judgment to investors. He said he was brokering sales of his clients’ interests rather than selling his own interests, and he argued (correctly in my view) that the injunction did not bar sales of his clients’ interests. But Chevron, in its latest filing, claims it can prove that Donziger transferred part of his own interest to David Zelman, whom Chevron describes as Donziger’s “performance coach.” Donziger has also refused to allow a forensic examination of his electronic devices as ordered by the court. Donziger has not yet responded to these latest contempt claims, but he told me that he had previously asked Judge Kaplan to hold him in contempt so that he could get a decision from the Second Circuit on the scope and meaning of the injunction, and that he was seeking to vindicate his “constitutional right to advocacy” in his resistance to turning over his devices. He told me that Zelman “was not an investor” and “provided no funds,” though that of course raises the question of why Donziger transferred interests to him (assuming he did). There are many, many more nooks and crannies in the case that I could mention. the only one I will mention here is the investment treaty arbitration between Chevron and Ecuador. The arbitral tribunal issued a partial award in Chevron’s favor in September 2018. The most notable points were the tribunal’s acceptance of the evidence of fraud (in particular, the testimony of Judge Guerra) that Judge Kaplan had accepted and that the plaintiffs and Donziger had continued to claim was false, and the tribunal’s rejection of the argument that forensic evidence disproved Chevron’s ghostwriting claim. I do not have information about the current status of the award—has Chevron sought confirmation? Has Ecuador sought to have it set aside? Are the parties discussing a settlement? Thank you for both the recap and the update. After the outcome of the court proceedings in Ecuador, I think that no US court will dare to dismiss again an action on grounds of “forum non convenient” where the alternate forum is a domestic court in a Latin American country (I know that not all countries in the region are the same so that I hope nobody will take offense on this, in addition I’m from Argentina). My question Ted is whether the action initially brought by plaintiffs in the United States was an ATCA action. I also wonder if there is any chance, even remote, to initiate fresh proceedings in the United States, after all the US court decision dismissing the claim on grounds of forum non convenient and referring the parties to Ecuador courts eventually led to a denial of justice. I am pretty persuaded that the low standards of transparency and integrity shown by the Ecuador court members render the ruling unenforceable in any advanced jurisdiction. I do not say, however, that the outcome is unfair. Thanks for your comment, Alessandro! It would be interesting to see whether the statistics on forum non conveniens dismissals have changed in the wake of this case. I don’t know whether or not they have. 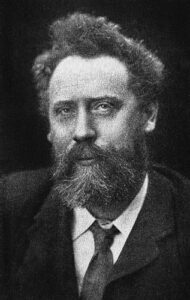 I would hesitate to draw too many general conclusions, though, from this unique case. There was indeed an Alien Tort Statute claim in the Aguinda case. Is there a chance to bring new proceedings in the United States? Well, not by those of the plaintiffs who are bound by the New York judgment. As a technical matter, perhaps other plaintiffs could bring a claim, because they are not barred by the court’s injunction, but I think that is far-fetched.